Menopause is a scary event in some women’s lives primarily because of the physical discomforts and emotional bouts brought about by the hormonal changes. To counteract the ill effects of this dreadful period, Hormonal Replacement Therapy (HRT) has been the management of choice. However, there are benefits as well as drawbacks from its long term use. HRT significantly improves the quality of life by relieving the discomforts caused by a decline in the natural reproductive hormones. 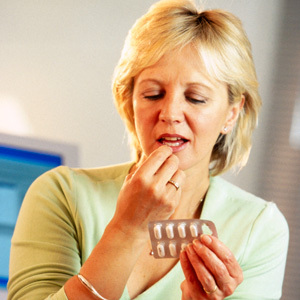 HRT provides the necessary amount of estrogen needed by the body, which are already depleted during menopause. Estrogen found in HRT promotes bone growth and maintenance to prevent fast progression of osteopenia and osteoporosis. HRT provides enough elasticity and moisture to the vaginal area preventing vaginal itch, dryness and infection. HRT provides the necessary lubrication to have a satisfying sexual experience. HRT also helps counter the psychological symptoms of headache, insomnia, mood swings, hot flushes and too much stress and anxiety, therefore improving sleep pattern and creating a positive outlook in life. HRT also improves cognitive function particularly counters short term memory loss. HRT decreases the risk of developing cardiovascular diseases in women after menopause, since estrogen plays an important role in lipid metabolism. HRT has a potential to make the blood more thick and viscous increasing the risk of developing vein thrombosis, varicosities and more seriously pulmonary embolism (a blood clot that travels than can lodge in the pulmonary area). 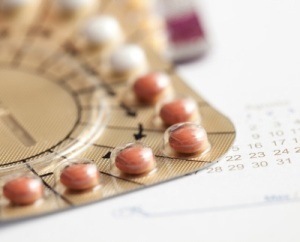 Too much estrogen from HRT increases the risk of developing endometrial, cervical, and ovarian and breast cancer. HRT further predisposes a woman to develop cancer diseases especially if she has a family of cancer illnesses. HRT places a woman at risk for stroke and heart attack. HRT may present side effects to some women such as: feeling bloated, fluid retention, depression and mood swings. After learning the benefits and drawbacks of HRT, what can a woman do to deal with the hormonal imbalance if she opts not to take any HRT, especially if she is at higher risk of developing complications because of history of diseases such as: tumors, liver and cardiovascular diseases? Regular physical activity, which when started early in life has a good chance of preventing the development of cardiovascular diseases and osteoporosis. Exercise prevents gaining weight, which poses a higher risk in developing heart ailments. A healthy lifestyle will keep the blood pressure in control. Natural food and food supplements that contain phytoestrogenic oligo-elements. Lifestyle change in terms of food choices, physical activities, sleep pattern and natural supplements can help decrease the discomforts of menopause. So as a woman, you can take charge of your own health by making wise choices, which includes whether to take HRT or not.